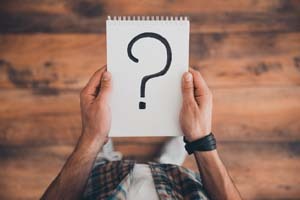 What you might be asked at an interview | MAX Solutions. It’s impossible to predict every question an interviewer will ask you. But if you prepare for some of the common ones, it will leave fewer surprises and you’ll feel more confident. Here are some of the more common questions an interviewer might ask. Are you able to clearly describe your work history, education and skills? The interviewer will be assessing whether these are appropriate for the job you’re applying for. Spend most of the time talking about your professional experience and just a little about your personal life. Only mention personal details that are positive. This is a good opportunity to show that you’ve spent some time researching the company. Comment on the company's reputation and values, discuss how the company employs people like you and how you will benefit the company. 3. What experience have you had in this type of work? The interviewer is looking for specific examples of past experience – a good indicator of future behaviour. Relay your relevant work experience, education and skills. This kind of question is asked to identify issues with your ability to do the job, motivation and ability to get along with others. Stay positive and avoid saying negative things about your previous employer. Family circumstances, eg. it required too much travel away from home. The interviewer wants to see if any of your weaknesses will hinder your ability to do the job. It’s best to mention just one weakness that could be viewed as a strength in a work situation. Turn it into a positive or state what you have done to overcome the weakness. Relay the reasons you think you could do the job well. Refer to your characteristics, qualities, skills and knowledge and explain how they would be of benefit to the company. Give actual examples of how you have used your skills and knowledge to achieve success in previous roles. 7. What are your plans for the future/next five years? What the employer really means is “Are you going to be satisfied working with this company?” or “Do you just see this job as a temporary stopover?” Assure the interviewer of your intention to stay and grow with the company. The best way to prepare for unexpected questions is to research the company, study the job ad, practice interviewing with a friend and make sure you know your resume inside out. There may be some questions that catch you off guard but the key is to remain calm. Unexpected questions can be a good thing – they give you a chance to show your ability to think on your feet. You might like to practice answering some of these common questions with a friend or family member to build your confidence. Being prepared will bring you a step closer to that job you want.